There’s a bull in the bond market—and it’s bad for investors. At least, it’s bad for investors who depend on bonds for income. As bond prices rise, their yields inherently fall, meaning interest payments to bondholders get smaller and smaller. Much has been written about the importance of dividends in investing, and dividends have historically been a significant contributor to total return. 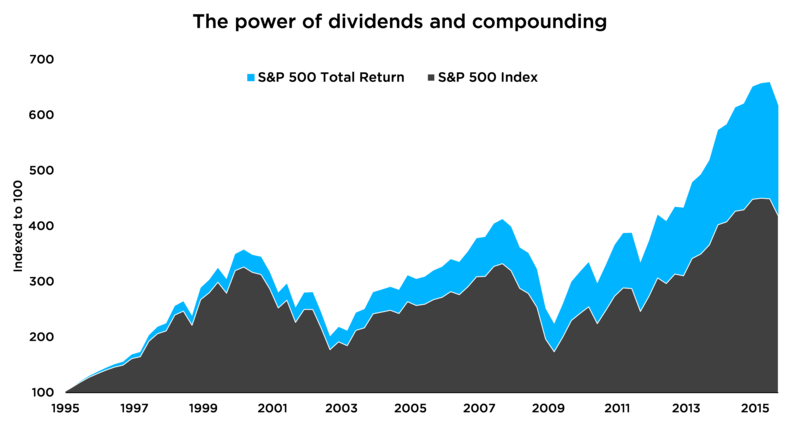 As the following chart shows, nearly 40% of the total return of the S&P 500 can be attributed to reinvested dividends and the power of compounding. Dec. 1994 through Sep. 2015. Source: Bloomberg. Past performance does not guarantee future results.